Based on information provided by the victim in this case, a sketch of the suspect was completed. At this time, there is no new information to provide other than the sketch. We’re asking for the public’s help in identifying this person. Please contact the Cedar Hill Police Department immediately if you may know who this is. On 7/20/18 at approximately 11:53 PM, Cedar Hill officers responded to a report of an aggravated sexual assault involving a weapon in the 200 blk of S. Clark Rd. Officers met with the 23 year old female victim who said she was walking to a convenience store when she was approached by a subject who convinced her to walk with him. He led her to a field, located in the same area, and displayed a pistol while demanding that she undress. The suspect sexually assaulted the victim and fled the scene on foot afterward. The victim went back to her home where she contacted police. The suspect was not located after a full and thorough search of the area was conducted by officers and a Police K9. 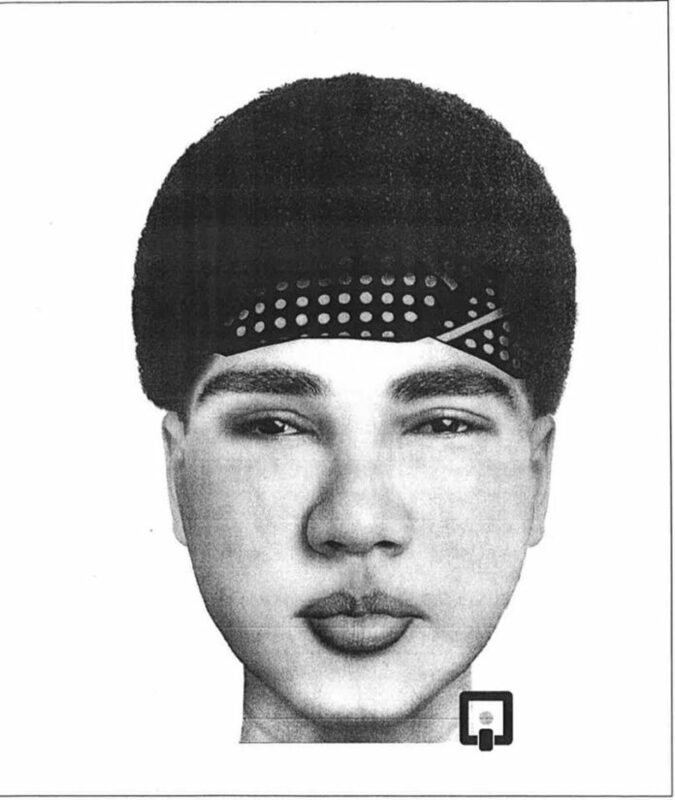 The suspect is described as an African-American male, 18-22 years of age, 6’2”, and slim build. He’s clean shaven with a short Afro-style hair cut and has tattoos on both his arms. He was wearing a black shirt, dark colored jeans, and an American flag patterned bandana. Officers will remain highly visible in the area and we ask anyone who lives in or frequents the area to be mindful of their surroundings, don’t go with people they don’t know and travel in groups if at all possible. If you see anything suspicious, no matter how insignificant it may seem, please do not hesitate to call us. If anyone has any information about this case, please contact CHPD immediately. Cedar Hill Police Department will provide immediate updates as additional information becomes available.